The glow of over a hundred bottles of whiskey glimmers off the barman’s smooth head, accentuating the perspiration as veteran drinksmith Erik Adkins works away, mixing cocktails and pouring the amber goodness to the packed-in patrons at Hard Water. The Pier 3 whiskey bar is the latest Charles Phan venture, this time featuring whiskey—one of the better lists in the country—and New Orleans cooking. Phan, Adkins, and Slanted Door accomplice Jennifer Colliau are exploring the state of American whiskey, regionally and agriculturally, all the while serving tried and true cocktails and damn good Southern food. Sunshine calls for a good drink and Hard Water is proud to feature a cocktail of their own design with the Bourbon Lift. 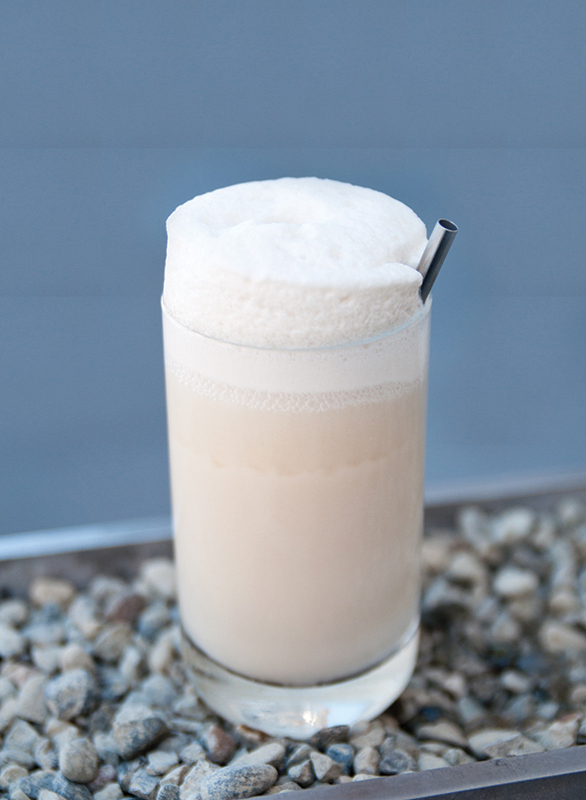 “Jennifer’s idea, my recipe,” says Erik as she chills the bourbon and coffee liqueur, whips the organic cream, and puts the finishing touch of soda water to billow the white cloud over top the glass. One sip and you’re transported back to the root beer floats of childhood summers. This time though, as Erik grins in the background, the childhood nostalgia is soaked in delicious bourbon. 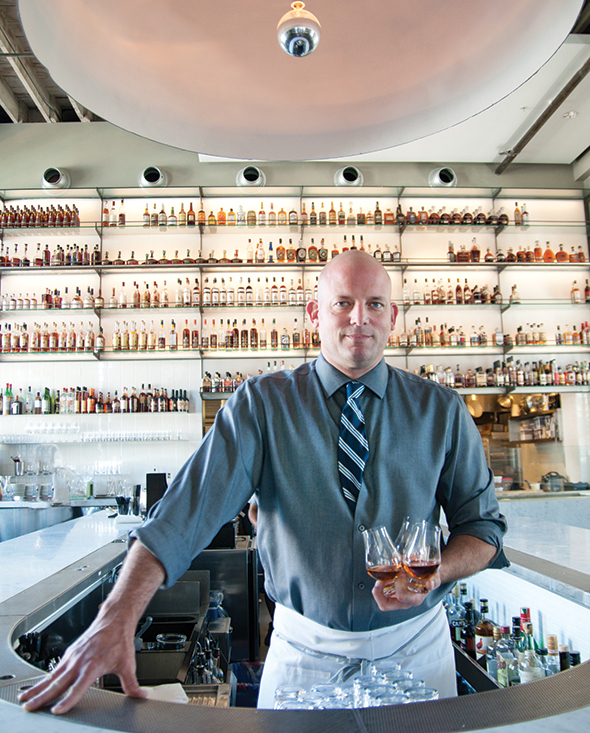 Here, Adam Edwards gives SOMA his recipe for Bourban Lift.